Modern in design, this subtle wedding band for women encompasses three diamonds burnished-set in the brushed finish center of the ring. 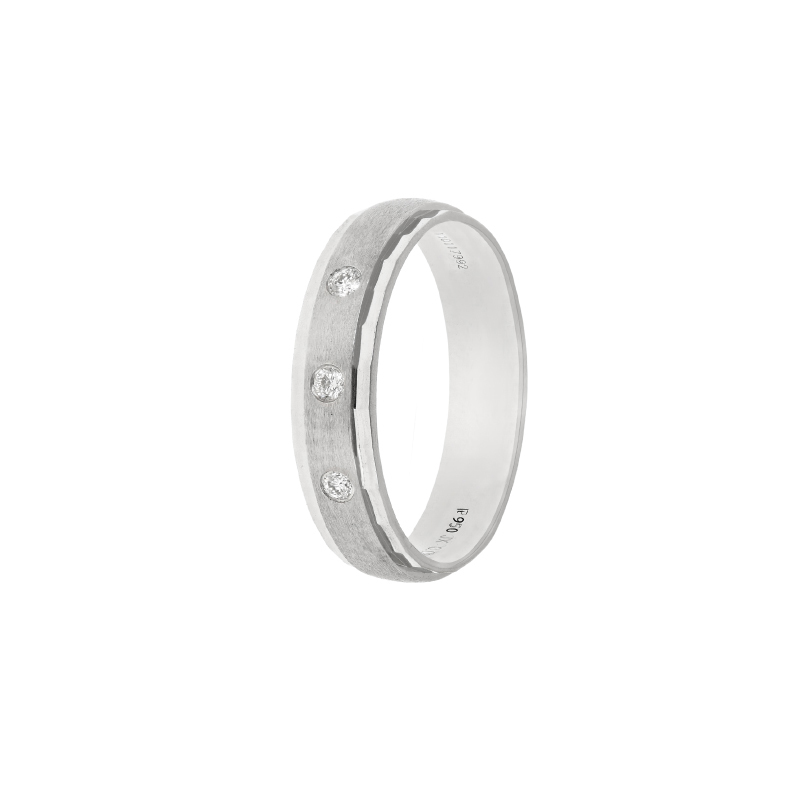 The stylish band with curved polished edges for a everyday comfort wear is handcrafted in durable platinum. This band can also be made to match your partner. For customization and other questions, contact info@rajjewels.com or speak to a LiveChat agent.